Ágora Bracarense is a civic association that works in order to develop opportunities for young people in their surroundings. Our goal is to provide to Braga's youngsters the opportunity to live an intercultural experience and, at the same time, assist in the development of the local community. This is possible through projects, volunteer work, seminars, workshops and youth exchanges. 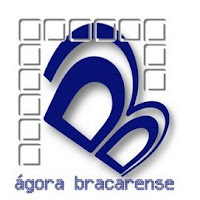 Ágora Bracarense it’s a local civic organization composed, in its majority, by youngsters. Recently founded, by a group of friends, we represent the huge willpower to do something in our hometown and in our region in what it concerns to civic participation where young people must have a word to say. Our first steps were not easy, but now we have a project and we are determined to carrying it out.We have several goals in our action plan. We are a group of young people, but we have great perspectives and a lot of work ahead of us. Our main goal, one of our major intents, it is to try to involve as much as possible young people with ambitions and who are willing to participate, to be active actors and give them opportunities to show their skills and “spread” their ideas. Essentially, this organization has the aim of being a place where youngsters can debate, participate actively, and show their skills. We present ourselves as the public space “par excellence”. Ágora Bracarense promotes debates concerning important issues. Youngsters must participate more in civic life, and we can consider ourselves as a platform to make it happen. But we do not only want to discuss. Our debates, studies and researches must be important to a second stage: action. And here we want to make the difference. It is important to debate youngster’s issues but more important is to call them to act and do something in order to change and shape their reality. Therefore, Ágora Bracarense intends to be a changing actor, providing young people the tools they need to participate actively in the society.At Ágora Bracarense we do not have a closed list of services provided. We are here to serve those with ideas who need any kind of help. Most of the time our projects begin with a youngster’s idea or intent. Young people must know they can count on us. Ágora Bracarense forms and informs. But the acting and changing role is with youngsters. They are those who make Ágora Bracarense.